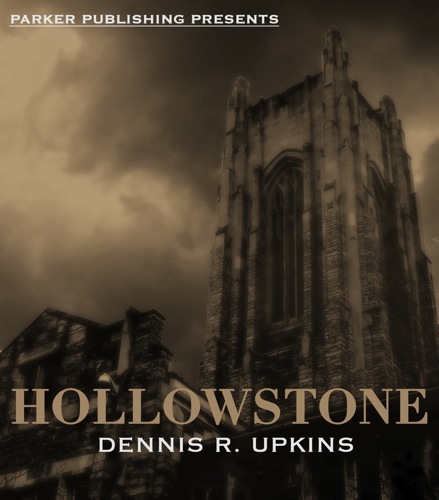 I’m very happy to host the most excellent Dennis Upkins, author of the soon to be released Hollowstone. He breezed through the windy city during a stop on his book tour. Hollowstone is due out on 17 June 2011. Q: Now, it’s great to see more POC authors and queer authors getting their work out and into the hands of readers who often feel left out of the literary mix. Hollowstone looks to address a lot of those needs. However, as a fan who is often left out of the mainstream media I wanted to know what else you might have planned to fill the gaps in for folks who aren’t seeing themselves reflected in the media they purchase? A: I was talking to a good friend of mine about this, another professional writer, and we both discussed how we’re always looking for areas of opportunity to improve as far as being progressive and inclusive goes. While Hollowstone runs the gamut in tackling many facets of bigotry and institutional oppression, with Empyrea (the recently finished novel I’m currently editing), I come at representation of marginalized people from a completely different angle. Empyrea features a queer POC as the main protagonist, features multiple women of color in prominent roles. It shows a loving interracial family in a matter of fact manner. Empyrea essentially illustrates what a world devoid of racism, misogyny, homophobia (as least as we know it) could look like. And while Empyrea is breaking a lot of ground, I’ve already got sequels planned and I’m looking for ways to step my game up. In the sequels, I know I will have a heroine who is a trans woman, lesbian characters and a disabled character. Each of them have important storylines, fleshed out roles, and treated with respect. The next novel I’ve got planned after Empyrea is a superhero story which features a teenage black girl and a gay man as the co-protagonists. Both characters have stories that are worth sharing. I’m constantly striving for ways to improve representation in my works because I believe everyone has a story worth telling. Q: I know you’ve mentioned it on your blog, but I’m curious about who would be cast in a Hollowstone movie? Do you think the movie would suffer from white washing such as the reported casting options for a remake of Akira? Would you rather Hollowstone remain a book if your only option was to have a movie cast in the majorities image rather than how they are depicted in the book? A: In regards to dreamcasting, I think this post sums it up: http://neo-prodigy.livejournal.com/954523.html Do I think the movie would suffer from white washing? That would always be a risk, a huge one in fact. It would really depend on the players involved, how much money would be riding on it and chance. For that matter, a publisher could’ve tried to whitewash the story, and we’ve seen this crap happen far too often. Luckily I was blessed to find a home with a good publisher (Parker Publishing) that was welcoming of Hollowstone as is. I give props to Neil Gaiman and Ursula K. Le Guin who have both been outspoken in standing tall against allowing their characters to be whitewashed and I would like to think if presented with the choice, I would make the same decision. Because Hollowstone tackles too many important issues to allow such crap to happen. Q: If you could make the literary world over in an image that would included fair and equal representation for everyone, how would you do that with your authorial powers? A: I guess pretty much what I’m doing now. Writing stories that celebrate marginalized people. Supporting works with my money that celebrate equal and fair representation of everyone and promoting and working with other marginalized creators to see their work make it to the public. Q: We already talked a bit about being marginalized and invisible in mainstream media. As a queer man and POC, did frustration with that marginalization and invisibility have anything to do with Hollowstone’s creation? A: Not really. At least not consciously or directly. I didn’t intentionally set out to write a story that was in reaction to being marginalized or invisible in mainstream media. But as the story developed, took on a life of its own, and continued to evolve, it did exactly that. But it had more to do with the fact that much of Hollowstone is based on personal experiences and things I’ve witnessed first hand. The marginalized issues was something I struggled with. It felt like walking a tight rope. Do you tip your toe in the pool of social justice issues and risk making your characters cliches who only exist to whine about racism or homophobia or do you go all out, balls to the walls, and show it all unapologetically and let the story share its truth. And why does it always have to be about racism/homophobia with gay and black characters. I wrestled with these choices and then finally I just had to tell myself, frak it. Truth is truth, no matter how inconvenient it is, and as Noah states in the opening of the novel, there are some stories that just must be told. Q: If you could fix one thing in fandom (Take your pick; comics, movies, books, all of the above) which one would you fix or is it too broken to fix? A: I would say all of the above, if for no other reason than they all intersect. I’m not sure if fandom is too broken to fix but I definitely think something drastic is going to have to happen, a massive overhaul to fix things. At minimum, marginalized peeps are going to have to double their efforts in creating their own spaces, their own media, supporting one another and boycotting those that denigrate them. At most, the industry is going to have to fall and be rebuilt before things can improve. Or something else unexpected can occur. I think it’s a matter of staying vigilant about these issues and continue to press forward even if fandom is hellbent on backsliding in regards to progress. Q: If any of your characters from Hollowstone could write a post for the We Got Your Back Project, who would submit their story and what would they say? A: WOW! This has to be one of the most powerful questions I’ve received. You know the We Got Your Back Project is near and dear to my heart, and some of the characters would definitely have a lot to say. Noah– He would definitely discuss his experiences with knowing Ryan, Neely, and another gay character who is revealed in the story. He would discuss his experiences in trying to be a straight ally and would urge other allies to be proactive in supporting their queer brothers and sisters based on the folks who impacted his life. Neely– She would discuss her experiences being a bisexual teen, growing up in a conservative environment, and how it isn’t easy to be out and proud, in spite of what society would have you believe. She would also point out that if it wasn’t for her older brother—who loved, protected, and accepted her as God intended her to be—she probably wouldn’t be here today. She would probably say why support and love is vital, especially in light of all the hatred and bigotry LGBTQs endure on a day to day. Ryan– Ryan’s story would be the most powerful. Because he goes through a lot in the story. And his story is a sobering reminder why it doesn’t always get better and that in fact, it rarely does. And if his story doesn’t move people to take an active role in fighting bigotry and hatred, nothing will. Q: Do you think that Hollowstone and books like it will finally get POC authors out of the “African American Author” purgatory books by black authors are often dropped into regardless of the books subject matter? A: Your guess is as good as mine. If authors like Octavia Butler and L.A. Banks haven’t clued society in that our work is universal just like white authors, I don’t know if society will ever learn. As POC authors, all we can do is do what we can and just hope and pray for the best. Q: Lastly, will we get to see more of the Hollowstone cast in future novels? Will we get to follow them as they develop or will they remain in the world built in Hollowstone? A: You know, the thought of doing a sequel, even a trilogy, crossed my mind more than once. It was an idea I toyed around with and even debated with myself. Then I realized that the characters in Hollowstone get so much closure, not to mention the fact that the novel ends in a very unique way, that to do a sequel would probably be a disservice to the characters and the story. If you can ever exit on a high note, that’s the way to do it. That being said…in the superhero story I’m outlining, one of the central characters will make an appearance and something about their fate that was all but promised in Hollowstone, gets confirmed in the superhero novel. So stay tuned.